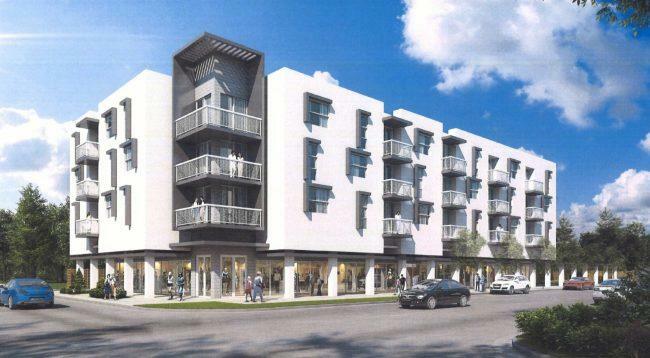 Miami-based Carrfour Supportive Housing Inc. is developing an affordable apartment building in West Palm Beach with on-site services to support mentally ill residents. The Dr. Alice Moore Apartments will have 36 units, including 26 designated for adults with severe mental illness who need supportive services to live independently. Construction of the Dr. Alice Moore Apartments began Thursday at 335 27th Street in the Northwoods Shore neighborhood of West Palm Beach. All 36 units will be available to residents earning no more than 60 percent of the area’s median income. Carrfour is developing the apartment building together with the Jerome Golden Center for Behavioral Health, a not-for-profit agency that has provided mental health services in Palm Beach County since 1970. Tenants who reside in the building’s studios and one-bedroom apartments will have access to amenities including an outdoor green space, a library and business center, and a gym. Tenants also will have on-site behavioral health and primary care services. The property manager will be Crossroads Management LLC, a wholly owned subsidiary of Carrfour Supportive Housing Inc.